your personal technician in 1 hour anywhere IN FORT LAUDERDALE COMPUTER REPAIR, BOCA RATON, AVENTURA, POMPANO BEACH, HOLLYWOOD, HALLANDALE BEACH, PLANTATION, TAMARAC, WESTON, CORAL SPRINGS, A1A, US1, SUNRISE, VICTORIA PARK, OAKLAND PARK, WILTON MANORS, POMPANO BEACH, BROWARD, FORT LAUDERDALE, SOUTH FLORIDA. Slow performance, internet doesn't work, computer freezes. We cover Fort Lauderdale, Boca Raton, Pompano Beach, Coral Springs, Weston, Oakland Park. We have offices all over South Florida. We also have on-site technicians ready to come over and service your computers. Increase your computer speed, spyware removal, adware removal anywhere in Fort Lauderdale, Boca Raton, Pompano Beach, Coral Springs, Weston, Oakland Park, Wilton Manors, Hollywood Beach, Hallandale Beach, Parkland, Broward, Weston Computer Repair,Coral Springs, Weston, Plantation or anywhere else in South Florida, just call one of our offices: 954-934-5342 in Broward or 561-245-5256 in Boca Raton area. Virus warning! when using Broadband internet connection, computers tend to get easily infected via emails or unreliable web sites. Call or visit us for any computer repairs, computer services, virus removal: Our Boca Raton office is located at:150 East Palmetto Park Road Suite 800, Boca Raton, FL 33432. Call Computer Repair & Service Boca Raton, Weston, Delray Beach - 561-235-2394 for appointment! Call Fort Lauderdale Computer Repair Services at: 954-934-5342, which is located at: 4407 North Federal Hwy, Fort Lauderdale, Fl 33308. 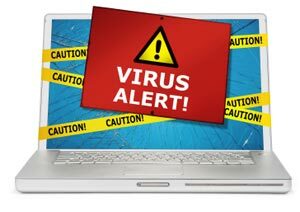 If any of the above, then most likely your computer is infected with a virus or it has been got invaded with spyware and adware. Call us right away to ensure the privacy of your files, documents and also to remove the virus rght away before it gets worse. Remember: a virus can cause damage to other computers if on same network.